Have you seen the price of diapers lately? The thought of buying diapers makes me a little queasy. People say kids are expensive, and I can totally understand why! Between diapers, clothes, all the “things you have to have” – and even more if you have to formula feed. But there are ways to make raising kids much, much cheaper. 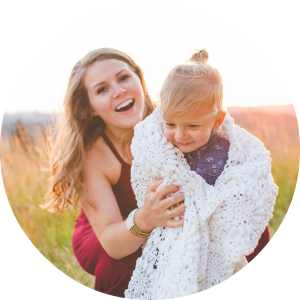 You can check out this whole post on how to save money raising kids. Diapers are one of those things that are necessary, but you are literally throwing your money away. Every time I throw out a dirty diaper, I think, “Well, that is $0.20 in the trash.” Geesh…makes you feel terrible. The average family spends $500 or more a year on diapers! That’s about one thousand DOLLARS to diaper one child! Isn’t that insane? So, how can you have babies without spending an arm and a leg? Sure, it does have some start-up costs, but in the end, it will save you a boat-load of cash. I purchased all my cloth diapers for about $300, and we’ve been using them through two children. How much you spend on cloth diapers will largely depend on the brand and type you use. I use cheap Sunbaby diapers, which have mostly been great, but there are many great brands out there like bumGenius , Best Bottoms , Alva Baby , Nora’s Nursery -> is a great inexpensive option. You can also find them second-hand at consignment stores and swap pages. Use Coupons – Ibotta almost always has cash back coupons for diapers. Use my link to get $10 free when you sign up and redeem your first rebate. Search coupons before going to the store– companies many times will have manufacturer’s coupons available on their website to print. If you don’t see any coupons available online, you can try to email the company asking for coupons. You can also find coupons in magazines, newspapers, and online. Combine deals to get the best price! Once I got two large boxes of natural diapers for cheap by combining deals. When you start a baby registry at Target, they send you occasional coupons. I combined one of these coupons with a sale, as well as Ibotta cash back and ended up spending only around $17. That saved me over $40! And if you have a RedCard you will save an additional 5%! Look for diapers on clearance – Yep, even diapers will go on clearance occasionally, and if you see them, stock up. I actually found these Honest diapers on clearance at Target. 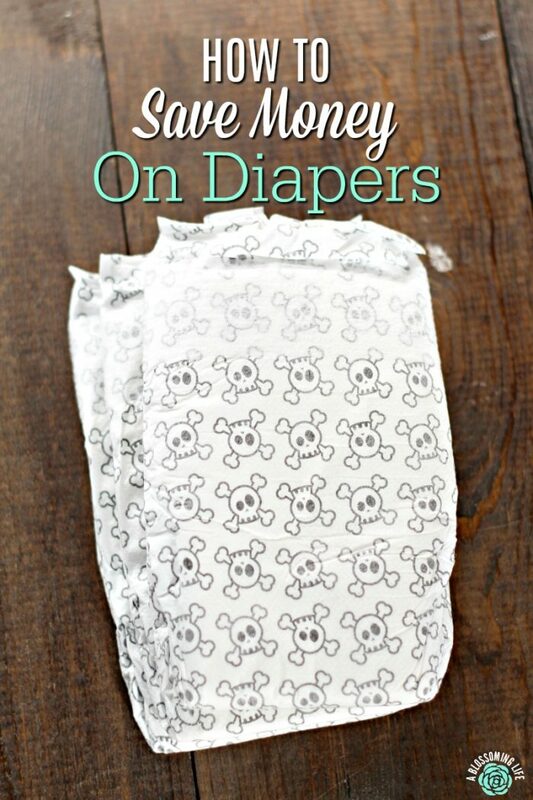 How fitting that they have sculls and crossbones on them, since it feels like a little part of me (my wallet) dies when I buy diapers. Stock up when you get a good deal – You can buy multiple sizes, even if you’re not sure if your baby will fit in them in so many months. Save your receipts, find out the stores return policy, and as long as you don’t open them, they should take them back in exchange for a different size. There was a store closing when we lived in Illinois, I was going to a baby shower and she wanted diapers so my husband bought a huge box for literally nothing. But that box was like a size 6 or 7 diapers (we didn’t have kids then so he didn’t know better). I wasn’t going to give my friend with a new baby large sized diapers so I exchanged them to a different big store nearby, even though we didn’t buy them from there. Just switched them out and we still saved big. Figure out the cost per diaper to find the cheapest deal – Sure, the price may be lower, but maybe there is a lot fewer diapers in the pack. Take the price and divide it by the amount of diapers per pack to get the cost per diaper. Buy store brand – If you’re not brand specific and are okay with using regular diapers, then look for store brand diapers, as they are usually much cheaper than name brand. Honestly, I cannot stomach the smell of regular diapers, which is why I opt for the more natural unscented diapers. I actually got a giant box of regular diapers for $3 from a friend that worked at a hospital, and I ended up giving them away because I couldn’t handle the smell. We even brought our own diapers to the hospital when our second was born – it bothers us that much. You can also save 20% on diapers with an AmazonFamily subscription (you will also receive 15% off your baby registry through Amazon). Have a diaper shower – Many of our friends do this. You can register for diapers, but many of our guy friends will have diaper showers for the other soon to be dads. You know, get together, watch a sports game, eat food, and give diapers. Buy in Bulk or use warehouse stores like Sam’s Club, Costco, or even Amazon – Even though we use cloth wipes, we also like to buy WaterWipes in bulk to save money. What are your tips for getting good deals on diapers? 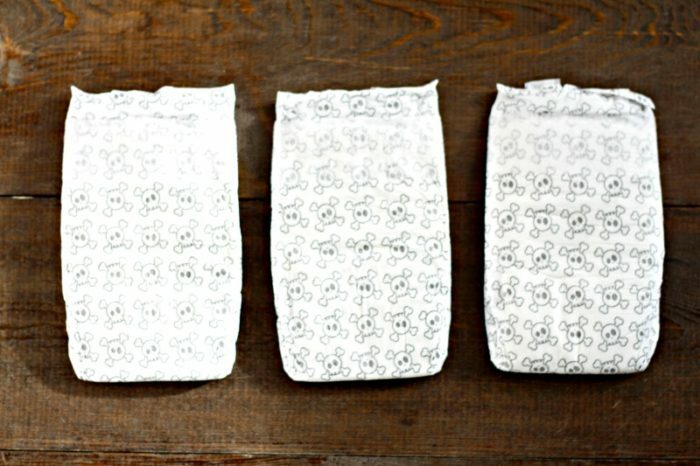 What is your insight on ecologic diapers? I mean those diapers that are washable.